Jeanne d’Arc has been the subject of countless historical, literary and dramatic accounts, and it is likely that, at least in the western world, everyone has some image they associate most readily with the famed young woman who donned men’s clothing and led the army of France to a series of decisive victories against the English during the Middle Ages. The rough outline of her story is so ubiquitous in our culture that it is likely difficult to recall one’s first encounter. But I certainly remember my most intense moment of identification with the Maid. It was late May, just over twenty years ago. I was, at the time, at the height of an episode of psychotic mania that would lead to a bipolar diagnosis and, ultimately, to an understanding of the deep gender discomfort I had felt for as long as I could remember. At the time however, I was a mess. Female-born and married with two children, my ex and I had endured a few years of destructive soul searching on my part. My madness, complete with visions, was just one more thing we tried to survive in the desperate hope that it would all pass. In my experience I’d seen drag queens and butch lesbians but no one I identified with. Until May 30, when I suddenly realized—and to this day I don’t remember how or why I knew it—that it was the feast day of Joan of Arc. In this convergence I saw a message. I saw myself. In the state I was in, the timing was fortuitous and seemingly miraculous. In the end, the ultimate moment of self-understanding was still a number of months ahead, but I will ever think of Jeanne’s appearance on my journey toward belated manhood with a mixture of embarrassment and wonder. 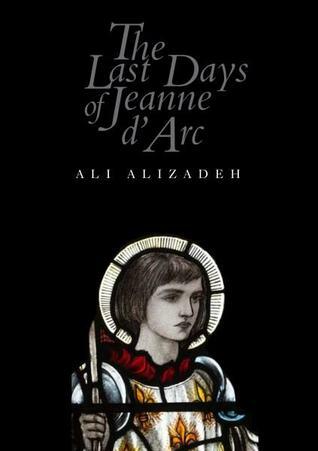 When I first heard of the premise around which The Last Days of Jeanne d’Arc , the recent novel from Australian author, Ali Alizadeh is constructed, I was skeptical. It triggered my frustration that, looking back in history, cross-dressing women are typically conflated with lesbians or “straight” transmale identities, in these days of heightened trans awareness. However, it’s not always accurate, historically or today. But that is another matter. My initial negative reaction quickly turned to curiosity the more I heard about the unusual, innovative approach taken in this account of a life that has been celebrated, and excoriated, in so many well-known renditions over the past six centuries. For Alizadeh, who was born in Iran and emigrated to Australia in his teens, the fascination with Jeanne d’Arc is long standing. It goes back to his childhood years. His enigmatic heroine was the subject of an epic poem he wrote for his PhD and it is this background—a comprehensive understanding of the historical material combined with the spare elegiac prose of a poet—that allows him to create a curious, sensitive, and deeply human portrait of a complex historical figure. The Last Days of Jeanne d’Arc, as the title implies, is structured around the final days of Jeanne’s life. After months of brutal interrogation, she has renounced her Voices and her actions by signing a letter of abjuration. She has saved herself from a charge of heresy, torture and execution, but now she is imprisoned in a cold, damp cell beneath the Treasury Tower of Rouen Castle. Forced to remove her male attire and put on a white gown, she feels vulnerable and alone. However, it seems that there is something more weighing on her, a sense that her passion runs deeper than a divinely inspired drive to serve her King and country—something much too fragile and painful to remember. Once Jeanne enters history and, in her first battles proves her value, the narrator gradually moves closer into her thoughts, letting the account slip back in time again, to meet our heroine as she hits adolescence. It is at this time that young Jeannette, as she is still called, has her first visionary encounters. It is also the when she begins to sense that the affection she has for her childhood girlfriend is of a somewhat different order. Before long she finds herself distanced from the other youth of her village. She is excessively pious and decidedly indifferent to the idea of dancing with boys, marrying and having babies—something her peers are well on their way toward achieving by their early teens. There is a soul wrenching loneliness in being set apart like this, by desire and, if her beloved Saint Catherine of Alexandria is to be believed, by divine destiny. She has never been caught in such a terrible storm and there is so much pain in her skinny body. I struggled to stand back up. The whole world flared up in the lashes of blinding lightning. The rain immersed my being. She is kneeling, paralysed by the mud. My tears merged with the rainfall. (Did I tell you, my love, how exactly it happened?) The thunder strikes harder and the rain is now a flood and it is in this cascade—why do historians insist it was a sunny day?—amid the fruits and plants being washed away by the storm that Jeanette clenches her fists. It is then that she howls back at the unforgiving sky. She rips off her scarf. O God O angels O Saint Catherine. Allowing room for Jeanne’s voice to reflect back on her experience deepens the intimacy of the present tense narrative. This polyphonic quality will become more pronounced as other emphatic voices interrupt with curses and threats as the story progresses toward its inevitable and unfortunate end. The portrait of Jeanne d’Arc that emerges over the course of this novel is one of a mix of vulnerability and determination. We see a young woman torn between her convictions and her doubts, conflicted by her desires, and isolated from others by gender, lack of education, and the unconventional role she plays. She is never entirely free from concern about the reality of her Voices and her own sanity, especially when her entreaties meet silence. And, while she becomes hardened to the violence and gore of the battlefield, she grows increasingly distracted by her love for another woman and all of the complex emotions that such a forbidden affection arouses. What comes across is a certain naivety. She is, after all, young (only nineteen at her death) and has, in a sense, been protected from the kind of demands of life that would have hardened and matured her peers who married early. So although she becomes an experienced soldier and commander of men, her romantic love affair has an idealized, almost adolescent intensity that betrays her youth. 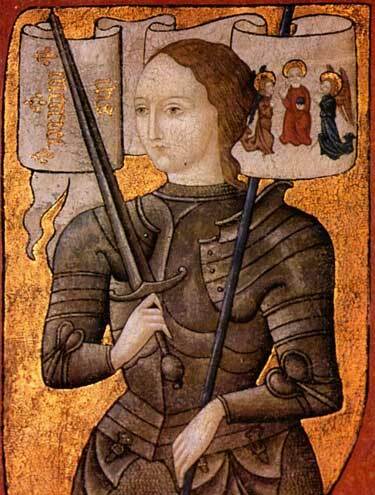 Alizadeh does not offer this speculative image of Jeanne d’Arc as a lesbian woman lightly. He knows the relevant documentary material exceptionally well and is aware not only of the limitations but of the spaces where possibility resides. His narrator respects his heroine, balances the historical account with the personal, and situates his chronicle to the contemporary reader. His Jeanne is a medieval heroine for a modern imagination, his novel is an absorbing, lightly experimental, and human re-imagining of the life and death of a young woman who has never ceased to be the source of inspiration and intrigue. The Last Days of Jeanne d’Arc by Ali Alizadeh is published by Giramondo. Thank you Lisa. You have no idea how many times I wrote, edit and deleted that personal element. Otherwise it was fun to write about this book, it’s style is so unusual but so effective. Oh, I can guess. I do it myself sometimes, but mostly delete it all out of cowardice. I tell you, I am so hoping that Alizadeh will write something else as well… sometimes a book like this that comes out of a personal passion is a once-off and the author never writes again. I hope this doesn’t happen with him. You write with such soul and grace! Loved every thought and word in here. No author could have asked for more. Thank you for this. Looking forward to reading more. Thank you so much, Mini. This was a good reading and writing experience. Thanks. I am always cautious about putting myself into a review unless there is a value, but some books simply are more personal reads than others. Joseph, as always, a thoughtful review. And as you frame the review in your personal experience it shines with a special brilliance. What a deep and thoughtful post, Joe. I think reading about the book through the filter of your experience gives it much more resonance. I went through something of an obsession with the figure of Joan myself (as I thought of her) many decades ago – I suspect many young women who aren’t happy with gender stereotypes and expectations do so. A fascinating figure on many levels. Reading this book really brought back that moment of identification (which is a little more complex than I allude to here). I think Joan speaks to so many for a myriad of reasons. In Alizadeh’s case, it’s intrigung to imagine what she might have represented for a young boy growing up during the Iran-Iraq war. This review is beautiful, and this book sounds fascinating! Thank you. It is a wonderful read.